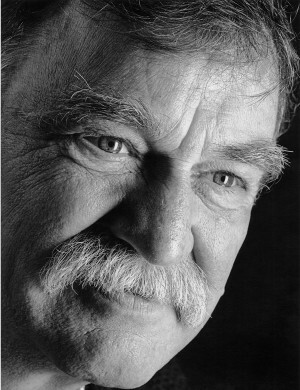 Don Obe was an award-winning contributor to the Canadian magazine industry as an editor, writer, teacher and mentor. As a faculty member at Ryerson University he taught and mentored many of Canada’s brightest journalists. One of those he mentored, also an award winning journalist, said, “Don was one of the great characters of modern Canadian journalism. He could be funny, biting, sweet, profane, hard-assed and kind, sometimes simultaneously. 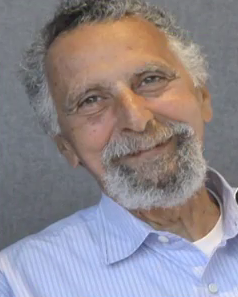 Tom and his brother Ray, known as “Click and Clack,” hosted National Public Radio’s Car Talk show and changed radio talk shows forever. Their off-the-cuff banter, interaction with callers, and ability to make fun of themselves became a model for dozens of radio personalities. Prior to their influence NPR radio was marked by formal, polite, and cautious talk. Mademoiselle Souvestre founded the girls’ boarding school Allenswood, outside London, where her most famous pupil was Eleanor Roosevelt who went on to become one of the most respected women of the 20th century. 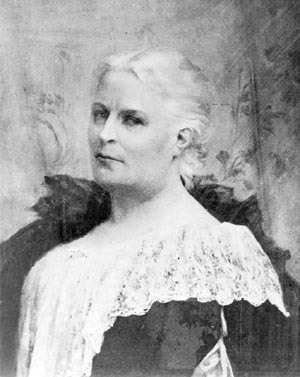 Eleanor’s early life was marked by an alcoholic father and a vain and distant mother (both of whom died before she was ten), and she was sent abroad to boarding school. Mademoiselle Souvestre was the headmistress of the preparatory school to which young Eleanor was sent. Fortunately, Mademoiselle Souvestre’s goal for her students was to expand their minds and attain intellectual independence. The school used French in many classes. Eleanor turned out to be better prepared than most for Allenswood, due to extensive French tutoring prior to enrolling. According to Elizabeth Pearce of MentorResources, it was during this period that Eleanor lost her shyness and acquired the self-confidence which would stand her so well in later life. Mademoiselle Souvestre mentored Eleanor, and they made field trips to Venice and Paris, with Eleanor making the arrangements. Mentoring introduced the teenager to the lifestyle of an independent woman. Eleanor always credited Souvestre with forming both her character and her intellectual outlook. The First Lady’s newspaper column on politics and social issues, My Day, was read daily by millions. For many years while leading workshops on mentoring, participants would often ask about the origin of the term “mentor.” In addition, most texts and articles that provide an elementary understanding of mentoring typically refer to the Greek poet Homer’s The Odyssey, which scholars believe was composed near the end of the 8th century BC, as the origin of the concept of mentoring and the term mentor. But it could be that the prevalence of this tale of origin has come about because authors just copy the details from secondary sources without any verification from the original source. This seems likely because most writers don’t have the ability to translate from the original Greek poem by Homer, and so it’s possible that Homer’s mythical tale of the warrior and father, Ulysses, in the poem The Odyssey has become the predominant story. There are, however, four other contending stories of the origin of mentoring. In order for readers to determine which story has the most credibility, I have included them here along with the much cited origin story. In Homer’s Odyssey, Mentor is a trusted friend to whom Ulysses (in Greek, Odysseus) leaves the care of his household when he departs for the Trojan War (a ten-year battle). The goddess Athena assumes the form of Mentor and cares for Ulysses’ son, Telemachus (played by Franco Interlenghi in the 1952 movie version), until the war’s conclusion. Some variations of this story state that she actually accompanies Telemachus on his journey to search for his father at the end of the war. Some variations describe Mentor as a man (as did the 1954 movie version where Mentor was played by Ferruccio Stagni). Whether Telemachus was mentored by a man or a woman, the theme that someone outside of the family provided guidance and wisdom in place of a parent, resonates with contemporary ideas about the primary format of mentoring. This story has reached mythical proportions and is probably the most widely-cited story, but how many modern writers have actually read the Odyssey in its original Greek version? 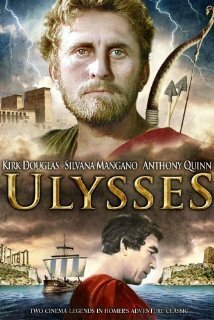 Or even seen the 1954 movie version starring Kirk Douglas and Silvana Mangano? 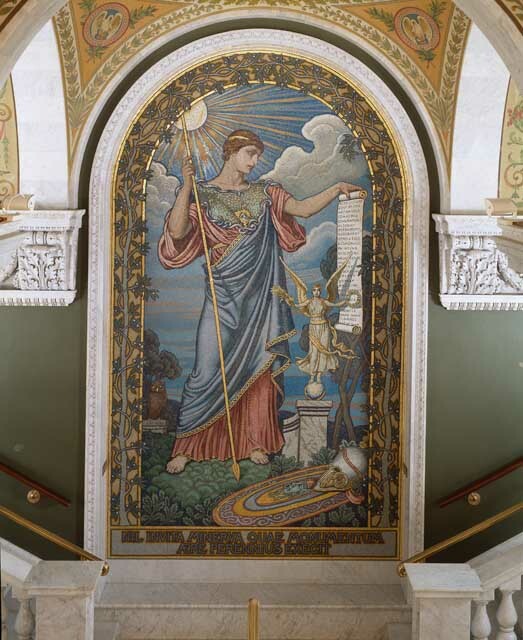 Mosaic of Minerva by Elihu Vedder in the second floor corridor of the U.S. Library of Congress. The political views that Fénelon put in the mouth of Mentor, however, offended the king’s position on these same issues. As a result Fénelon was forced to leave the employment of the king for less challenging activities. The veracity of this tale of mentor’s origin is based on the idea that a person outside of the family provided guidance to a young person and encouraged that young person to explore in depth ideas that were challenging to contemporary viewpoints. Unfortunately, ancient history from Africa is significantly less documented in writing than either Greek or French sources, so this story has received too little attention. Yet its veracity is founded both on the idea that it precedes Homer’s poem and the work of Fénelon, and that it recognizes the importance of and responsibility for passing on the wisdom of the elders to younger generations.